Determine first the size of your floor. Since these rugs come in different sizes, it is a must for you to measure first the size of the floor where you are to place these area rugs. If you think that the rug you saw is quite smaller than the area where you are to place it, then it is not a good choice. If it is too large, then it might not fit your home, so you better drop it as well. Check the type of area rug before buying. 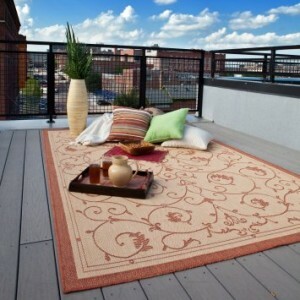 There are certain types of rugs which are only good for indoor use. These are the ones which are made from fine and soft fabrics. If you place them outdoor, many people will come and step into it. Thus, it will not last long. You really have to check first in order for you to place them to where they should actually belong. Finally, you have to make sure that the price is just right. Prices vary depending on the size of the rug, its complexity in terms of design, as well as the materials which were used to make it. Be wise enough to determine the price. If not, maybe you will buy a smaller rug at a more expensive price when compared to a larger rug in another store..
All these guidelines, when followed, will definitely give you the chance to make a perfect decision for the best of your own home.